The golden yellow No. 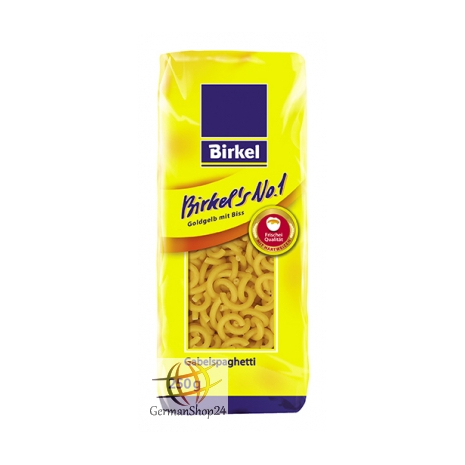 1 by Birkel has everything what a good, fresh egg pasta needs. It is fine in taste, pithy in bite and absorbs the sauce particularly well. Durum wheat semolina, eggs (10%).